An emergency landing of a Boeing 787-8 Dreamliner at Takamatsu Airport in Japan, the latest in a string of incidents, prompted Japan Airlines (JAL) and ANA to ground their 787’s pending safety checks. On January 16, 2012, an All Nippon Airways Boeing 787-8 Dreamliner carried out an emergency landing at Takamatsu Airport (TAK/RJOT), Japan following instrument indications of smoke in the forward electrical compartment. ANA flight 692 took off from Yamaguchi-Ube Airport (UBJ/RJDC) at 08:10, bound for Tokyo-Haneda Airport (HND/RJTT). The smoke warning forced the crew to divert to Takamatsu Airport (TAK/RJOT) for an emergency landing. The airplane stopped on the runway and an emergency evacuation was carried out. One passenger was injured in the evacuation. Fire services were standing by but they did not notice any fire. This incident was the latest in a string of mishaps involving Boeing 787-8 Dreamliner aircraft. Both JAL and ANA have decided to ground their 787 fleet pending safety checks. 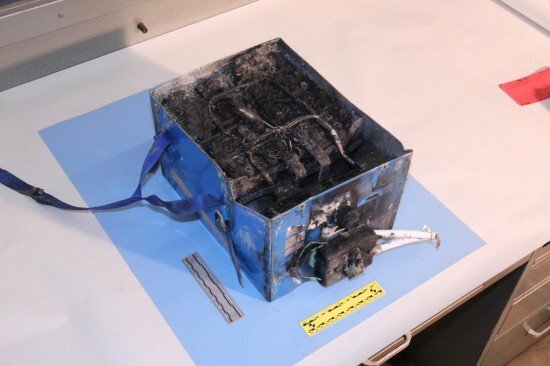 Meanwhile, the NTSB is continuing their investigation into a January 7 incident at Boston involving an auxiliary power unit battery fire on a Japan Airlines 787.